Thousands of people choose to live in unique and amazing condos in and around Oahu, Hawaii. 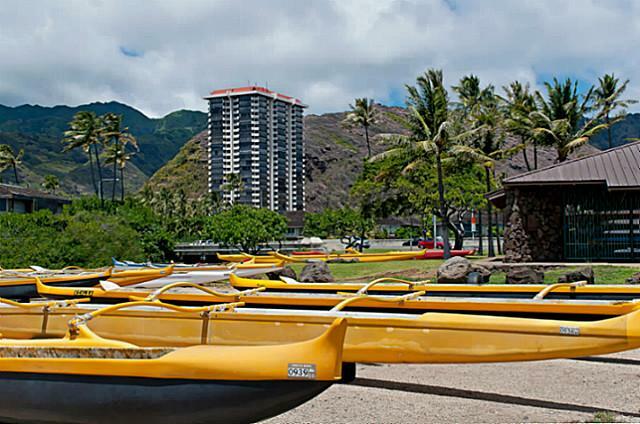 There are two statements that come to mind when you think about condos in Hawaii. There is condo living, and then there is high-rise condo living. If you are a fan of the latter, then this high-rise condo unit available in the Mt. Terrace building in West Marina is something that can’t be missed, as this is simply condo living at its very best. This condo unit is located in a high-rise building that offers just about every amenity you can think of. If you want to be spoiled and pampered, then this is something to check out. With a BBQ area, clubhouse, doorman, exercise room, pool, resident manager, sauna, storage, trash chute and whirlpool, there is simply everything located right at your fingertips. It doesn’t get more convenient than that. The unit itself is also pretty amazing, and also comes with 2 parking stalls, which is quite a steal in Hawaii. This huge corner unit with expansive valley, mountain and ocean views is well kept, bright and breezy. It also has a great open floor plan that you can do a lot with and make it your own. This truly is condo living at its best. Don’t wait long, a 2 bedroom; 2-bathroom unit like this will not last long. If you are on the market for a great condo living lifestyle in a fabulous high-rise building, then you will definitely want to check this listing out. Take a few minutes to view this listing and many more in the area. The condo of your choice is right around the corner so don’t wait, start your search now. 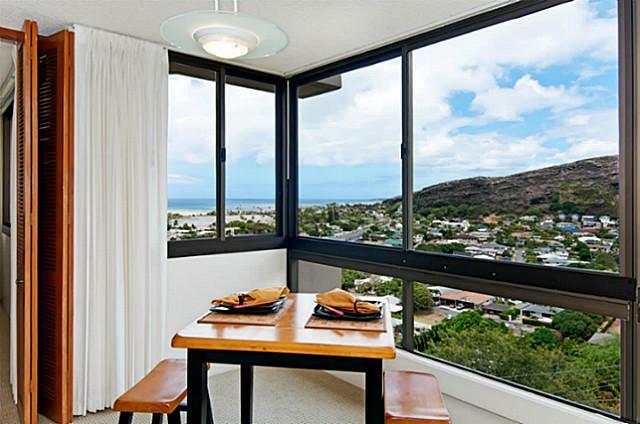 View other Hawaii Kai properties.